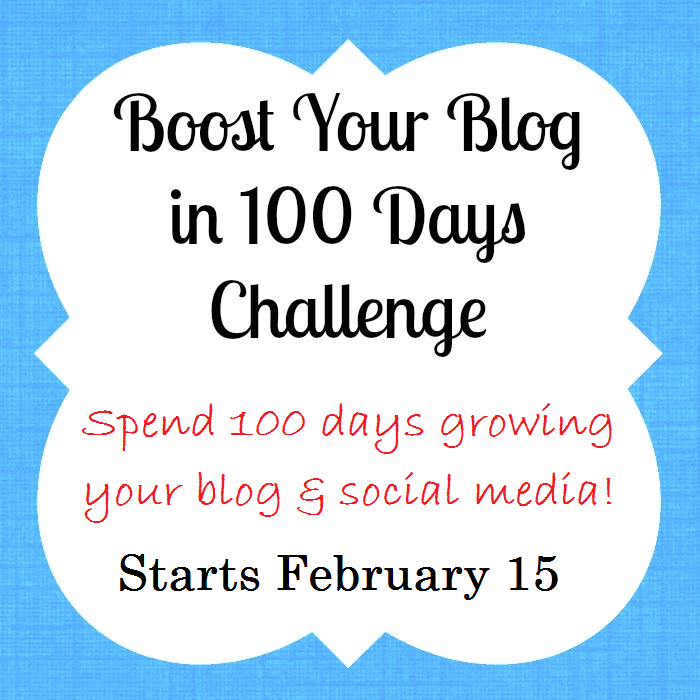 I'm excited to participate in the Boost Your Blog in 100 Days Challenge, coordinated by my friend Thaleia over at Something 2 Offer. She's a busy homeschool mom of 4, and created this challenge as a way for folks to get to know more bloggers and encourage each other in the process. Along the way, we will learn about things like Twitter, SEO, Blog Post Topics, Pinterest, and increasing blog traffic. The first 10-day challenge started yesterday(! ), and it is to comment on 10 blogs for 10 days. Thaleia is providing the links to the blogs for each day, so all you have to do is click and comment! Anyone is welcome to participate in the challenge and learn along with us. Hi. I'm stoping by from the BLog Challenge! It's been fun and it's only day 2! Have a great week. Hi. Stopping by and commenting from the Blog Challenge! Hope that you have a great week! Hello, from the Boost your blog challenge! Stopping by from the blog challenge. I am excited to spend some time checking out your blog. stopping by as part of the challenge. looking forward to following your blog! I am having a great time and I am so glad I signed up for this challenge!!! I'm stopping by for the Blog Challenge! Love reading so many eclectic blogger's perspectives and lives.